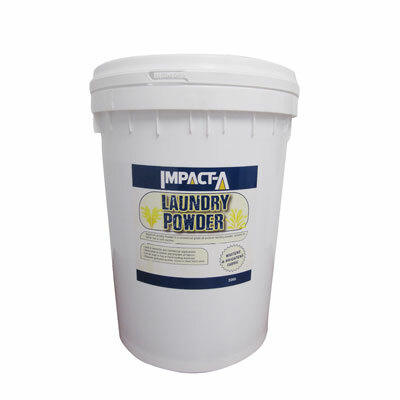 Impact-A Laundry Powder is specially formulated for heavy soiling and general laundering, either in a commercial or domestic application. The commercial grade, all-purpose laundry powder is suitable for hot or cold washing and can be used in top and front-loading machines. To buy IMPACT-A Laundry Powder , please use the Store Locator below.